Yellow bristle grass is a pest plant that poses a serious threat to pasture. Yellow bristle grass (YBG) is an aggressive annual-seeding plant which spreads rapidly through pasture, reducing pasture quality. Cows don’t willingly eat it, leading to low pasture utilisation. Grazing avoidance leads to rapid re-infestation and an opening for other weeds. In farms where YBG makes up 13 percent (on average) of dry matter, the cost of supplementary balage required to maintain milk production is estimated at an annual cost of $343/ha. Germination typically starts in mid-October (16°C) and peaks in mid-November (20-30°C) depending on weather. Early seed heads appear in late December but mostly in January and February. YBG is now widespread throughout much of the North Island and has been identified in some places in the top half of the South Island. Your regional council can provide up to date information on where it is in your region. Click on the image above to see YBG at different growth stages. Yellow bristle grass is an upright annual-seeding plant growing 25-45cm high. In open pasture its first leaves are typically parallel to the ground. The leaves are yellow-green to green in colour and usually red or purple at the base. They are flat, hairless, soft and twisted. The leaf sheath is flattened. There are no ears (auricles) at the junction of the leaf blade and sheath. The ligule consists of a fringe of hairs 0.5-1.5mm long. The seed head is a cylindrical 'spike', 2.5-10cm long. It consists of many densely packed spikelets, with each spikelet bearing a single seed. 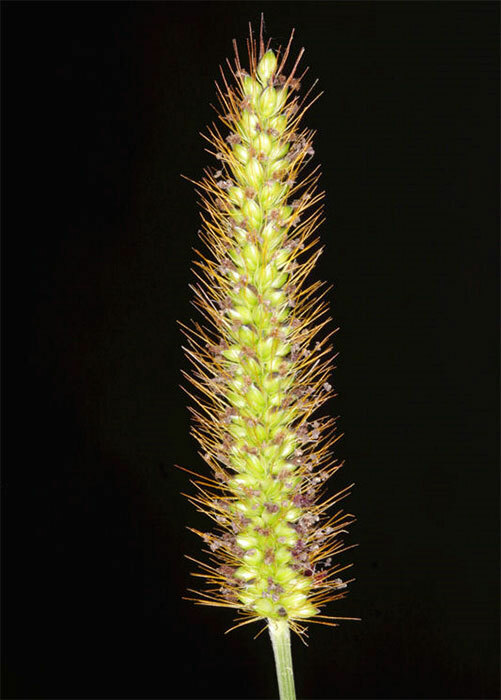 At the base of each spikelet are five to ten bristles, 5mm long. Initially the bristles are green, but soon change to a golden-brown. It is the colour of these bristles that give the grass its name. Most other Setaria species have fewer bristles in their seed heads. Yellow bristle grass is difficult to see until it produces a seed head, and by then its seed is probably viable and dropping for next season. Learn to recognise YBG. If there is only a small patch, isolate it and take action to control the plant before it spreads. Don't allow it onto your farm in supplement, stock food or on contractor machinery. Long term management of yellow bristle grass should focus on the following three key areas. 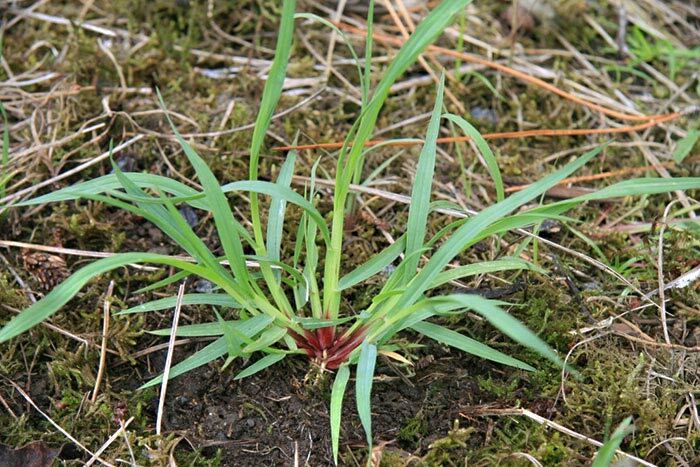 Better pasture competition: reduce or eliminate damage to pastures at the time when yellow bristle grass germinates, between October and December. Elimination of seed production: remove seeds through early topping (before viable seed are set), using heavy grazing or chemical spray topping. Complete renovation: for poor pastures complete renovation is the best option, either by going through a summer crop such as chicory (where grass weeds are easily controlled) or by spraying out with glyphosate in early autumn. In either case a strong sward needs to be established before winter. If winter weeds are present they should be sprayed with 2,4-DB or MCPB herbicide, which won’t damage clovers, so as not to leave gaps in the new pasture in early summer. Pasture grasses and clovers appropriate to local conditions should be used in the grass mixture. 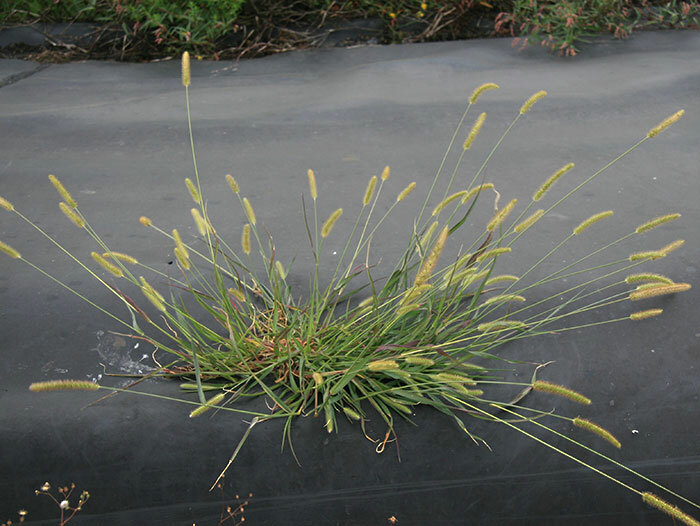 For more information on yellow bristle grass, including chemical control and management of small to large infestations, visit the AgPest website. 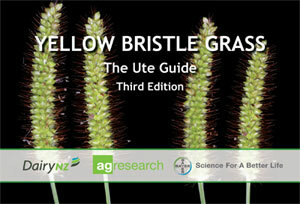 This handy guide contains information about yellow bristle grass management.